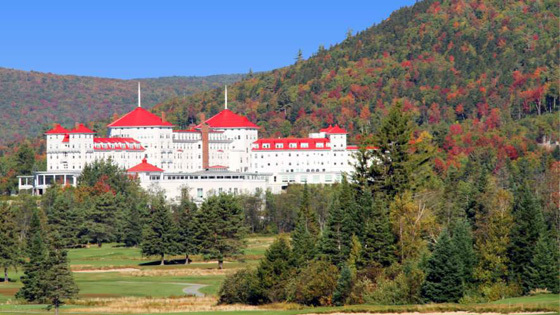 Bretton Woods, NH – Jamie Ferullo & Patrick Rahn outlasted a talented field to win the second annual Mid-Amateur Team Championship which was held over 6,400 yards at the Mt. Washington Resort GC. The event was 36-holes contested over two days and the champion side led the way early and never looked back. In Sunday afternoon’s modified alternate shot format, the Golf Club of New England members carded a bogey free round of 66. Their round featured three birdies on each side and their 6-under total was a number many in the field knew would be hard to catch. Monday’s format of Four Ball Stroke Play (Best Ball) was contested in blustery and cold conditions. The pair did card their only bogey of the event on the par-3 5th hole but played steady golf the rest of the way as they cruised to victory. Josh Chamberlain (Stonebridge CC) and Ryan Kohler (Hooper GC) stayed within touching distance for most of the final round but were unable to mount a significant charge. They finished in solo second place at 5-under par for the tournament and were a shot ahead of Jim Cilley (Ridgewood CC) and Mike Mahan (Cochecho CC) who finished in third. The Net division was won by Tom Burkhardt & Chad Kageleiry who fired rounds of 69-69 for a 36-hole total of 6-under par. The Mid-Am Team is an event open to players 25 years of age and older. The event features two-player teams who compete in 36-holes over two days. The event is open to any NHGA member with an active handicap and features both a Gross and Net division. Full results can be found by clicking here.